One of the greatest things about the most recent Ethiopia trip was picking up right where we left off last summer with the kids and going deeper, more quickly, than any of us anticipated. It helped that five of us on the team were familiar faces. Our return made a big impact on the kids. 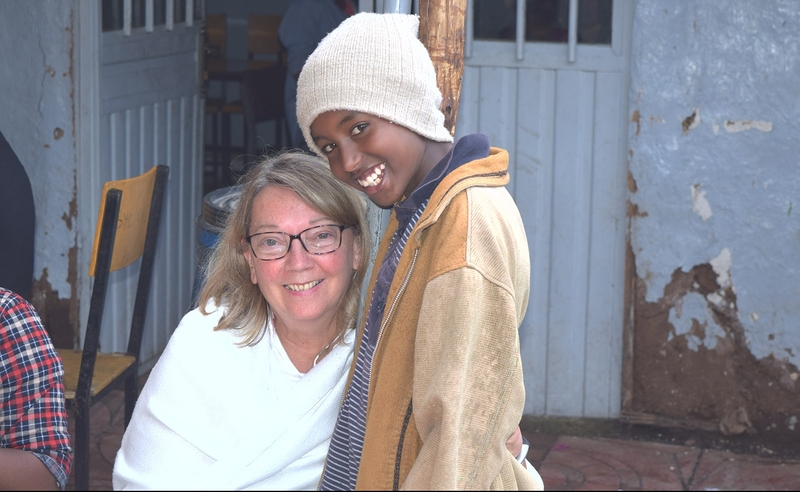 We traveled to the children’s home Berhan Yehun with Grace Outreach Partner Hands of Hope. At Berhan Yehun children, living as societal orphans, are loved, have the opportunity to learn about God, go to school, receive tutoring, and receive meals. Our team came alongside these children for several days to get to know them, teach them, encourage them spiritually, and have fun with them. Since we wanted to give them a new fun experience, we made plans to take them one morning to visit a history museum on the campus of Addis Ababa University. Most of the children, ages 9 to 20, are not used to riding in motor vehicles on a regular basis, and a few promptly got car sick. At the beginning of our museum tour, I noticed one little 11-year-old boy sitting on a bench, still looking quite nauseous. I sat down and asked if he'd like to lay his head on my lap. He did and slept for the next half hour. As I sat with my hand on his head, silently praying over him, I thought, "Although we're missing the tour, I'm doing what I was created to do: be a mom to someone." Most of the children's parents are either not living or have some kind of disability, like blindness or leprosy. As a result, the children don't receive much affection at home. I felt privileged to give the gift of a mama's lap to this precious child. Experience your own life change and discover your purpose through serving on a short-term trip! Check here for future trips and learn more about our missionary partners. Learn more about serving vulnerable children locally and globally with Hands of Hope. Read more about past mission trips to Ethiopia here.